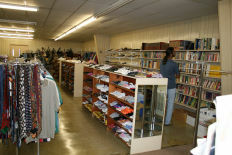 About our Thrift Stores: Our thrift stores support the work of our ministry and have become a favorite shopping spot for local residents. We receive donations of used clothing, household items and furniture from the community which are resold at bargain prices. 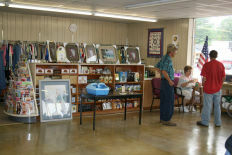 Some new furniture and gift items are also available at our stores. What our Thrift Stores support: Proceeds from the thrift stores are used to support the work we do at Of One Accord, such as providing emergency food, general medical care, some home repairs, and other greatly needed services to those in need in the communities we serve. The proceeds from our thrift stores enable able us to provide office space for each program we operate, pay the utility bills at each of our facilities, pay for insurance for our vehicles and buildings, and so forth. Since the thrift stores pay our overhead costs, when a financial donation is made to Of One Accord for a specific program, we are able to use 100% of that donation for the designated program. 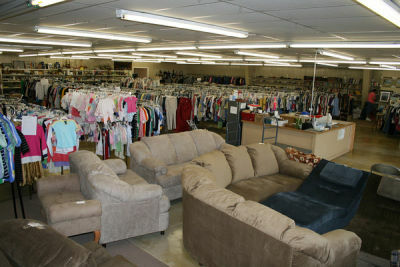 Shepherd's Corner - Of One Accord Ministry, Sneedville TN Exceptions: Because the proceeds from our thrift stores are used to pay overhead costs associated with operating our organization, we do not freely give away donated items to those in need, but rather we sell them at bargain prices, except in the case of families who have experienced a fire. With a fire report, we are able to provide some replacement furniture, clothing and household items. If you or someone you know living in Hawkins or Hancock Counties have recently experienced a house fire or other major disaster, such as flooding, and need assistance with replacing household items, call us for more details on how we can be of assistance you. Copyright® Since 2013 Of One Accord Ministry. All rights reserved.